Dr. Heather Furnas was named a Fellow of the American College of Surgeons in October. Dr. Heather Furnas, founding partner of Plastic Surgery Associates, is proud to announce that she was recently chosen as a Fellow of the American College of Surgeons (FACS). Dr. Furnas is among 1,827 respected surgeons to be inducted into the College for 2017. The largest organization of surgeons in the world, the American College of Surgeons has over 80,000 members world-wide. Founded in 1913, the College is a scientific and educational organization created to raise and maintain standards of surgical care and ensure ethical practices. Each year, the College invites a meticulously chosen group of surgeons to join their rank of distinction. With some of the most rigorous and stringent membership requirements of any physician organization, Fellows are considered leaders in their respective surgical specialties. To be considered for Fellowship with the FACS, surgeons must speak/write English, be a graduate of an approved medical school, possess a full and unrestricted license to practice medicine, have completed three years of surgery practice, possess a current hospital appointment, have a current surgical practice and consistently display the ethical fitness established by the College. After meeting these requirement, each inductee must then be individually approved by three-fourths of the College’s Board of Regents. This year’s Fellows, including Dr. Furnas, were inducted during the Convocation ceremony at the College’s annual Clinical Congress, held last month in San Diego. More than 11,000 guests were on hand for the five-day meeting. Attendees included physicians and allied health professionals, as well as members of the scientific and consumer media community. The Congress offered a variety of educational and networking events, including research reports, panel discussions, symposia and exhibits. The 2017 class, which includes surgeons from around the world, was among the largest ever admitted into the College. Once inducted, these Fellows have earned the right to use the designation “FACS” (Fellow, American College of Surgeons) behind their name. Dr. Furnas is a graduate of the UCLA School of Medicine and Stanford University. In 1991, Dr. Furnas founded Plastic Surgery Associates in Santa Rosa, California, along with her husband, Dr. Francisco Canales. Today, Dr. Furnas is recognized as one of the country’s leading experts on female genital surgery and vaginal rejuvenation. She was recently presented with the Tiffany award for her paper, Why Patients Request Labiaplasty. Dr. Furnas is frequently presents her research at a plastic surgery conferences across the United States. 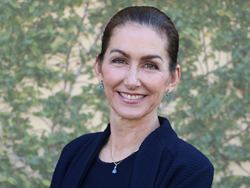 For more information on Dr. Heather Furnas, or to schedule a consultation in her Santa Rosa or Novato office, contact Plastic Surgery Associates at 707.537.2111. Further information on the American College of Surgeons, or the recent Congress meeting, can be found at http://www.facs.org.